Best iPod-Friendly Casinos - Poker Sites for Your Nano! There are a few ways that iPod users can play their favorite casino games using their iPods. Firstly, an iPod user can simply head to the app store and download an iPod Touch game that will let them spin the reels of an online slot machine for hours on end, building up the funny money balance right on into the millions, and simply pressing reset whenever they go broke. Or… iPod users can use their iPod’s to gamble for actual real money at real online casinos. If you’ve ever waited for anything, anywhere, for even 1 minute, you know how much faster the time passes with a form of entertainment such as a real money casino, or even a Words with Friends app! And listen, we know iPod’s may not be as popular as an iPhone – where you can literally access all the same games and more – but people still use them and as long as they’re even remotely popular you’ll always find someone playing some type of casino game or slot on this type of device. There are several online casino games available to iPod Touch users, and even more for iPad and other tablet users. There are a few ways to access real money casinos using your iPod touch. One simple way is to visit sites like Slotland Casino or Betway Casino that feature iPod Touch compatible casino options. Possibly the easiest way to access a real money online casino with an iPod is to use the iPod touch in conjunction with the Safari browser. Using the Safari browser iPod touch users can simply visit any online casino site that offers a no-download version of their casino software that is run using the Java programming language (as opposed to the Flash programming language. iPod’s are not Flash compatible, as you may have learned by visiting Facebook and trying to play Farmville or Mafia-Wars, or any of the Zynga Casino games there). If you’re from the United States and wish to use an iPod touch or any other mobile device really to access an online casino, your options are pretty slim. Slotland casino however does not discriminate and still welcomes players from the United States market to their online casino. 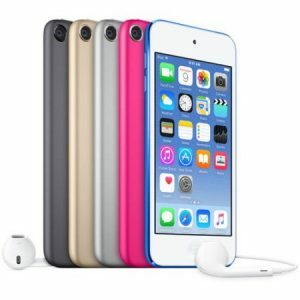 The tricky part for iPod touch users wanting to set up accounts at Slotland is finding a payment method that works from within the United States. The answer to this conundrum lies in prepaid credit cards that can be used internationally. Check out our Slotland Casino review for more specifics on that particular topic. Imagine this: Chilling on the train, on your way to university or work, or anywhere, you’re listening to your favorite music on your iPod Nano, and you’re playing your favorite online casino games. That’s almost a perfect world. For me, a perfect world involves me sitting at a land based casino, playing a live game of poker, waiting for a ‘real hand’ while jammin’ to my music, “Ce Lo Green” comes to mind, while playing blackjack on my Nano. Maybe playing casino games while tuning out the grandkids is more your speed, whatever it is, playing casino games on your iPad Nano while listening to your music, instead of the annoying background music found at most online casino seems like a much needed retreat from reality that’s there just when you need it. What’s So Great about iPad Nano’s? Enjoy 14 hours of uninterrupted playtime! Pay attention to music, audiobooks otherwise podcasts. Ranging from between 3.49×1.59x .027 and weighing up to 1 and ½ ounces! iPad Nano’s are very affordable, check’em out on Amazon if you don’t already have one. What’s even better is that they’re allowed in poker tournament events, so they’re great for poker players, they’re discreet, so you can bring them with you to your college without causing much of a distraction, and they’re main stream, so no one will give too much thought to what it is you’re doing with yours.